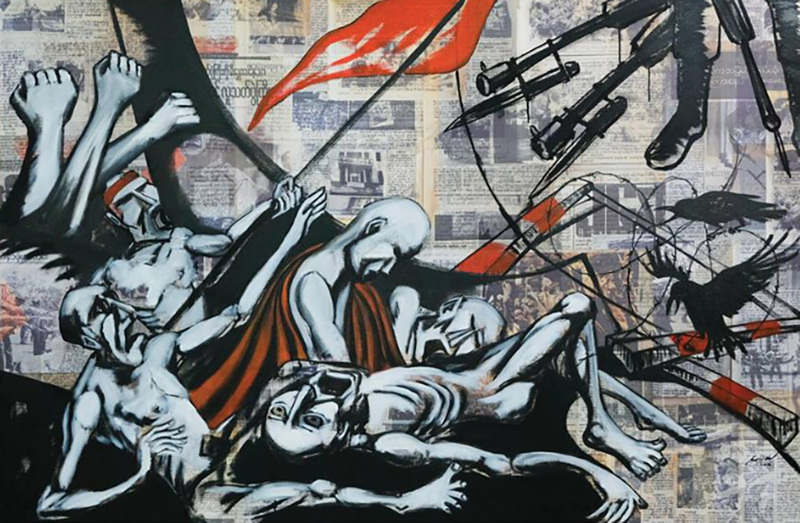 Aung Kyi Soe describes the popular pro-democracy uprising in August 1988 as a scar. “Scars remain even after wounds heal,” he said. 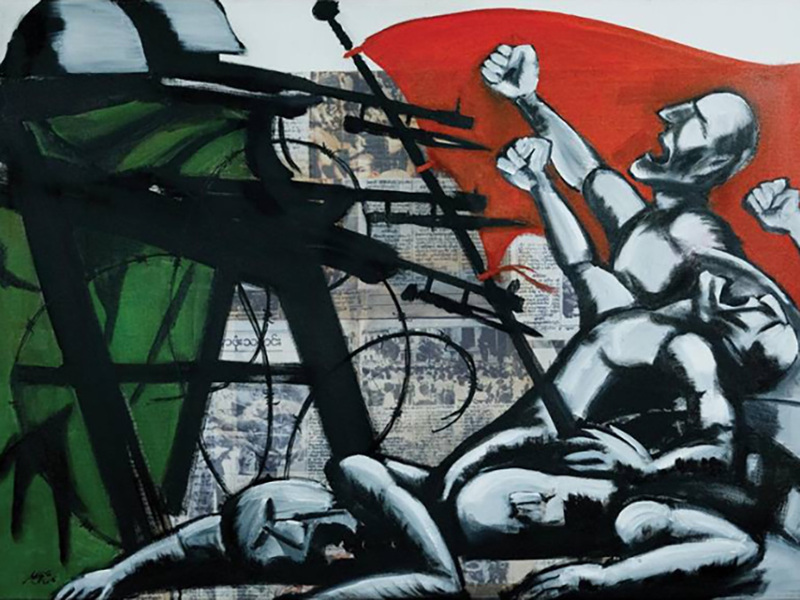 The 8888 Uprising will mark its 30th anniversary on Aug. 8. 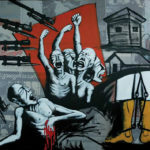 But Aung Kyi Soe still cannot forget the bitter experiences that have left him with emotional scars. 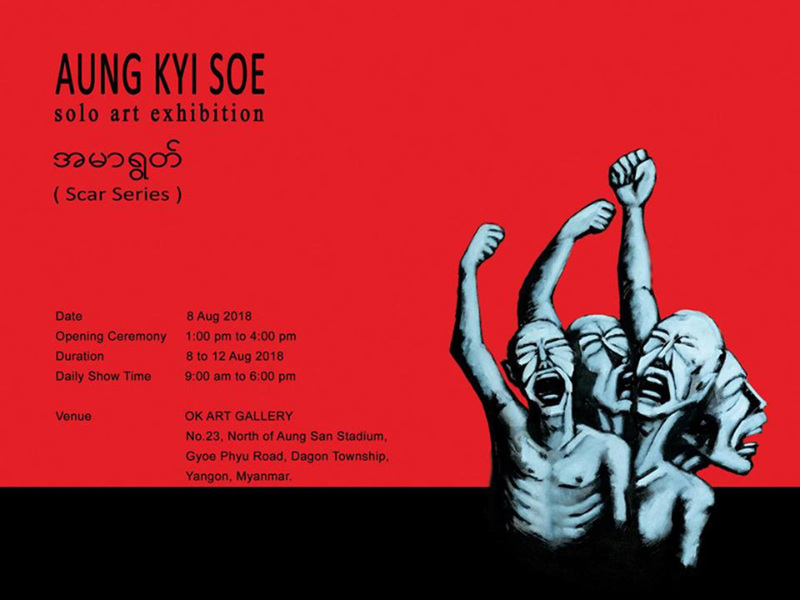 The artist has brought those scars to the OK Art Gallery in Yangon’s Aung San Stadium to relive those dark days of suppression. 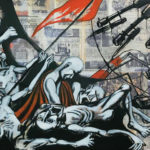 Against a backdrop of images of newspaper pages from August 1988, Aung Kyi Soe has depicted hammers, sickles, peacocks, the flag of the Burma Socialist Programme Party, bayonets, students, monks and the crackdown. 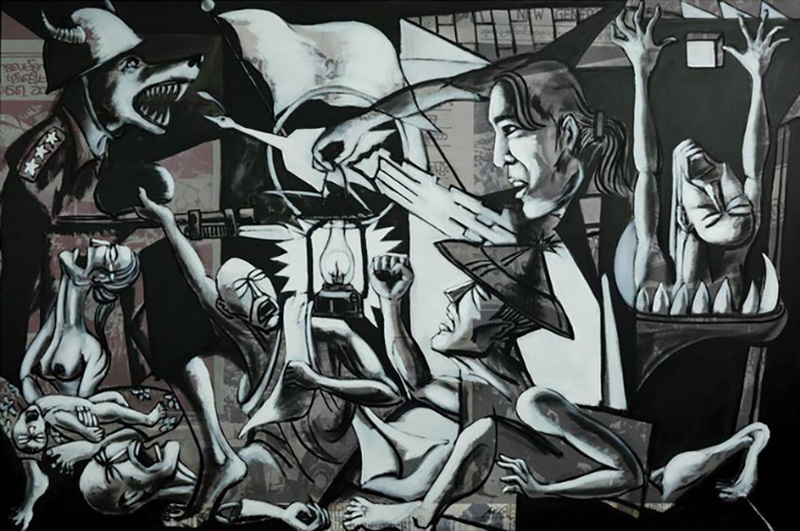 The artist said his paintings were influenced by Spanish artist Pablo Picasso’s Guernica, which is regarded by many art critics as one of the most powerful anti-war paintings in history. 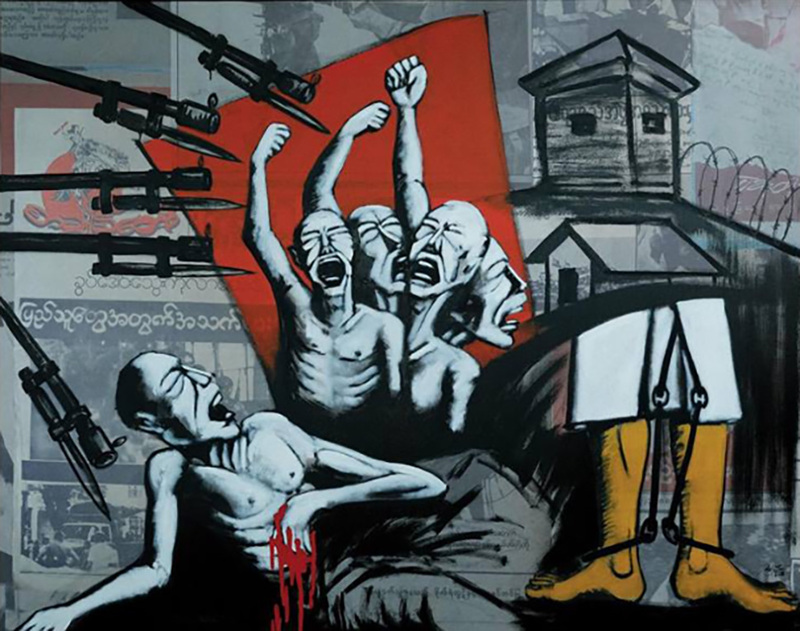 His works vividly portray the steely determination of the people of Myanmar to achieve democracy. Despite the bleeding wounds, people are raising their hands in defiance. Despite others being shot dead, despite others being killed with bayonets, despite others being shackled, they still demand democracy. Aung Kyi Soe’s subjects are usually political or involve social issues facing the country. 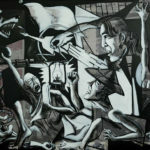 The artist has so far held four solo art exhibitions. 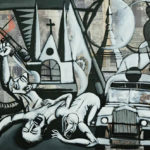 His paintings are particularly popular with foreigners. 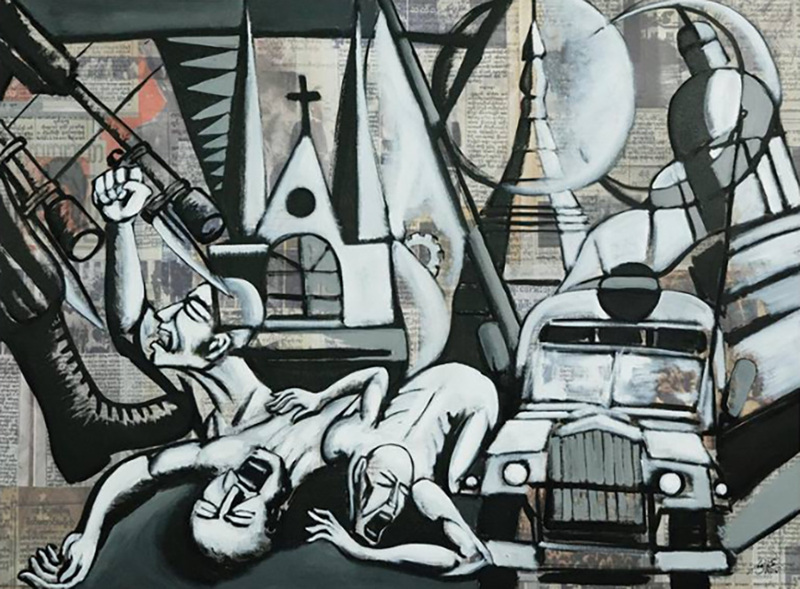 More than 10 of his works will be on display at the exhibition. They are available for prices ranging from US$1,000 to US$2,000. 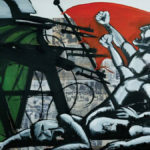 The exhibition will be held through Aug. 12.